Waiting will get you NOWHERE! AND, share this to be entered to win a copy of Smart Passive Income with Pat Flynn's book about product/service validation “Will It Fly” and/or my favorite super small tripod/selfie stick! Do you have a big dream ready to unfold, but find yourself waiting until just oooonnnnee more thing is in place? You are almost ready to launch and the the “yeahbut”s and “illdoitafteri”s keep stopping you? The excuses created by fear are real and powerful. While there are hundreds of “legitimate” reasons you could give for waiting… You will gain clarity, focus, and motivation if you MOVE! 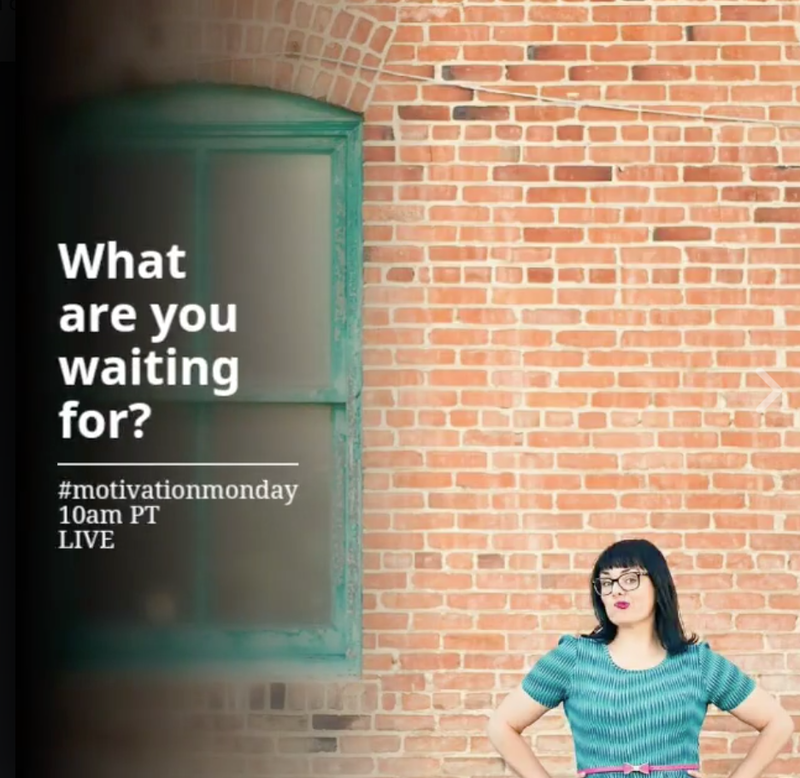 Today at 10am, we'll be live for a #motivationmonday and you'll learn exactly why you can not afford to WAIT any longer. FEAR is that 4 letter word. ? This is the upside to having a coughing fit while live. ? Bwahahaha…I was so freaking scared!! OMG! I totally missed that you were here! Ha! Hi! So need to hear this! Molly Mahoney Jillian Michaels Edition! Love it! Set an intention just to be and do your best! Let me in! I want in ?